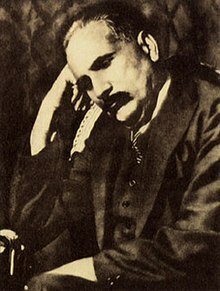 Dr Muhammad Iqbal (1877- 1938) known to the world as the Poet-Philosopher of the East, devoted his life to awaken the Muslim Ummah and to make it pursue the path of knowledge, jihad, and martyrdom. Dr Iqbal had an abiding faith in Ahlul Bayt (the family of the Holy Prophet). He was greatly moved by the tragic events of Karbala and in many of his couplets he calls upon the humanity to emulate Imam Husayn (a), who had sacrificed his life to uphold Truth. His elegies on the martyrdom of Imam Husayn stand unmatched and are an eye-opener to all those who are giving a mere lip-service to Islam. Dr Iqbal expresses his extreme love for Imam Husayn. Just as Almighty Allah loves to listen to the invocation of the orphans, he also has the same kind of love for the martyr of Karbala. Dr Iqbal has a sincere and genuine faith in Imam Husayn. The hero of this episode Imam Husayn, the brave son of the bravest of the brave Ali and grandson of the Holy Prophet, took up a firm stand not to acknowledge Yazid as the Caliph of Islam. It is a fight for the preservation of the principles and tenets of Islam. Imam Husayn arrived in Karbala on the 2nd of Muharram 61 A.H. along with his small children, women, and some comrades numbering 72 only. On the l0th of Muharram he was brutally killed. This was the tragedy over which Iqbal sheds tears. He believes that mourning and wailing over him would lead to his (Iqbal's) salvation. He also believes that Suqi-e-Kauthar Lord of Kauthar (Cistern in Paradise) Le. Imam Ali loves those, who weep for Imam Husayn. He hopes and prays that since he sheds tears out of grief for Husyan, Imam Ali would give him all the help he needs. Dr Iqbal says that the event of the construction of Kaba is very simple and interesting. Prophet Ismail suffered great pains in its construction. The Holy Prophet purged it from the idols that were in it, and so raised its glory. The first stone was laid by Ismail indeed. He offered for sacrifice his own life but the sacrifice was not completed as he was replaced by a ram and according to the Holy Qur'an the great sacrifice or Zibh-e 'Azim was to come later and completed by one of his descendants, Husayn. So in fact culmination of the spirit of love for Allah was manifest when Imam Husayn sacrificed his life and preserved the dignity of the Holy Kaba. Dr Iqbal here compares two things Shabbiri or Husayniyat, i-e. principles enunciated and adhered to by Imam Husayn, and Yazidiyat, i.e. worldly power and authority. Husayn was the symbol of devotion to and love for Allah, i.e. submission to none except Allah. The spirit as shown by the rulers of Kufa and Syria, is always changing since it tries to gain strength through fraud, dishonesty, and political expediency and maneuvering as against this truth never changes. So .the place Imam Husayn has achieved, is a reality which shall be hailed and acknowledged for all times to come. Dr Iqbal was distressed to note that Iraq was under the yoke of the British. He was disappointed that the Muslims had lost courage and were suffering humiliation. The land of Tigres and Eupharates called some staunch devotee of Islam who could relieve them of their serfdom. Iqbal only wished a man, a follower of Imam Husayn might come up to help the Muslims of Iraq! Dr Iqbal says that love of Allah manifests itself in many ways. Prophet Ibrahim had to suffer many difficulties in the cause of Allah. He accepted being thrown into the fire, and the fire was turned into a blooming garden. It showed his intense love for Allah. Our Holy Prophet conquered the Battles of Badr and Hunayn through his ardent love for Allah. Similarly Imam Husayn showed his patience in the battlefield of Karbala where he, with his family and comrades, not only suffered the pangs of three days' thirst, but willingly sacrificed his life for the cause of Truth and love for Allah. Love for Allah is a quality, a force, an impetus, which creates in us extraordinary patience and forbearance. Dr Iqbal says that the life of a dervish is a very noble way of living but it is different from the life of a mendicant or friar who lives on begging or in seclusion. We should learn from Imam Husayn who while passing the life of a dervish had no other consideration except love of Allah and submission to His will. Our treading the path practised by Imam Husayn will bestow on us the title of Chief among the people. A Muslim has inherited this wealth from Imam Husayn, and we should make the best use of it. Imam Husayn has given us the lesson of self-sacrifice, patience, and forbearance and submission to none except Allah. Now Dr Iqbal opens his praises for the son of lady Fatima. He was the chief of the lovers of Allah, and an evergreen tree from the garden of the Prophet. Imam Husayn who stood against the forces of evil, refused to acknowledge Yazid as the Caliph of Islam, and upholding the dignity of Islamic principles sacrificed his life along with a small band of 72 of his followers, at the battlefield of Karbala. Zibhe Azim the greatest sacrifice in the Holy Qur'an. Imam Husayn was the direct descendant of Prophet Ismail and had offered himself for sacrifice at Karbala to save Islamic principles from annihilation. The Holy Qur'an says that Zibhe Azim, the great sacrifice of Prophet Ismail was left over for the coming generation. Dr Iqbal alludes to this and says that Zibhe Azim in the Holy Qur'an means the sacrifice of Imam Husayn. Dr Iqbal here alludes to an event stated by Tirmizi and others. Once Imam Husayn mounted the shoulders of his grandfather, the Holy Prophet. Somebody said, "What a good carriage it is!" The Prophet said, "And what a good rider it is!" Dr Iqbal mentions this event to show what affectionate feelings the Holy Prophet had towards his grandson. Dr Iqbal says that it is because of Imam Husayn's blood that the modest love has gained honor and dignity. This couplet can well serve a title for the episode of the Tragedy of Karbala which shows how piously and valiantly Imam Husayn defended the tenets of Islam, sacrificed his own life along with his kith and kin, sincere followers, and comrades, and raised the honor of love to its acme. Dr Iqbal shows here the position of Imam Husayn. He says that among the followers of the Holy Prophet Imam Husayn is like the Divine phrase Qu-huwallah (Say He is Allah) meaning that Allah is One, in the Holy Qur'an. Since the entire Holy Qur'an turns to this verse -QuI Huwallaho Ahad (Say that He is One) similarly the whole Islamic world turns towards Imam Husayn who is the source of our guidance. Dr Iqbal knows the tradition of our Prophet: "Husayn is from me and I am from Husayn" i.e. Husayn is his grandson and that he (the Prophet) would be made known by him, and his mission would be fulfilled by Imam Husayn who sacrificed his life to immortalize Islam and its tenets. In do quwwat az Hayat amad padid. Ever since the creation of life two opposing forces have been at war with each other- virtue and vice, Right and wrong. Musa (Moses) rose against Firaun (Pharoah) and Shabbir (Imam Husayn) rose against Yazid. These struggles were between the Right and the wrong. Consequently the Right prevailed upon the wrong and it was proved that Right is might. Dr Iqbal says that Truth or Islam exists today because of the strength shown and the spiritual power exercised by Imam Husayn. In other words Imam Husayn made Islam immortal. The wrong was crushed to annihilation in spite of its apparent success. Yazidism or the principle enunciated by Yazid is looked down upon by all, but Husayn's blood spilled at Karbala still enlivens our hearts and makes us feel that his sacrifice to support the Right against the wrong was unparalleled in the history of mankind. 72 only, faced a huge army and courted martyrdom after three days starvation and thirst on the l0th of Muharram 61 A.H. Husayn was undoubtedly the savior of freedom and Karbala has become the symbol of struggle against tyranny. Husayn's role at Karbala was So magnificent that it eradicated for ever the savage idea of cruelty and cold-bloodedness. The wave of his blood has created a garden which is symbolic of his sacrifice for the preservation of freedom and Truth. Dr Iqbal says that Imam Husayn voluntarily gave his life at Karbala for the sake of Allah or Truth. So it goes without saying that Husayn laid the foundation of the cardinal Principle of Islam -the belief that there is no god except Allah. Since Islamic principles were being twisted, distorted and exterminated it was Husayn's blood which gave it a new life. That Imam Husayn's only aim in refusing to accept Yazid as Caliph of Islam was to preserve Islam, can be borne out from the fact that while he left Madina for his journey towards Kufa he had a small band of his relations and followers, including women, and children. Had he the intention of fighting a political battle he would not have gone there with such people as he took with him. Those Who accompanied Imam Husayn included his sisters, wives, children ( even a six month old child was with him) and some followers, some of whom were more than eighty years of age. In the Battle of Karbala the number of the enemy was as countless as the particles of sand, but the number of Imam Husayn's friends was only 72. Imam Husayn took up his sword of 'La' or 'No' that is, there is no deity (except Allah) and crushed infidelity. He imprinted the mark of Illallah (Tawhid), or monotheism in the wilderness of Karbala. It was a title for our salvation. In fact we have learnt the lesson of Tawhid or monotheism from Imam Husayn, who taught us in a practical way the secret of Qur'an by sacrificing his life for the sake of Allah and for completing the mission of his grandfather, the Prophet. We have gathered warmth from the fire of love for Allah that Imam Husayn possessed. Dr Iqbal means that the love for Allah shown and the sacrifice made by Imam Husayn at Karbala should serve as the best lesson for all the people of the world.